Memorial Sloan-Kettering is a world-famous cancer research center that offers undergraduate research internships through the affiliated Gerstner Sloan-Kettering Graduate School of Biomedical Sciences in New York City. This setting provides exceptional research internship and related educational opportunities for selected Bates students. Accepted participants develop a research program with MSK staff in the winter semester while attending Bates, initiate the research while working as a paid employee at MSK in the summer, and then continue as an intern for the fall semester. The internship is overseen by a mentor at MSK and includes participation in a research project, work with others at MSK, and participation in the educational program provided at MSK. Students participating in this internship are expected to conduct independent research projects with limited supervision; it is not intended that you just serve as a lab technician or do job shadowing for the semester. Students receive four course credits upon the satisfactory completion of the internship. This program is open only to advanced students prepared for independent research and living in New City. MSK intern Victor Babatunde ’11 (L) with lab group. Students interested in the program should speak with Dr. Stephanie Richards (x6389), who oversees the MSK research internship program, during the fall or early in the winter semester of their sophomore or junior year. Students who then wish to apply submit, before February 1, a resume and cover letter to Dr. Richards describing their interest in the program, a copy of their transcript, and a description of any research projects with which they have been involved. The Biology Department makes nominations, and will forward the applications of nominated students to the Committee on Off-Campus Study through Dean Sawyer. If approved by the Committee, the students work with Dean Sawyer and the College’s contact at MSK to determine whether their academic background and interests are appropriate for projects underway or within the scope of MSK. Students may need to travel to New York to introduce themselves and obtain a better understanding of MSK. The Biology Department is responsible for publicizing, recruiting, and nominating up to two students per year for the program. 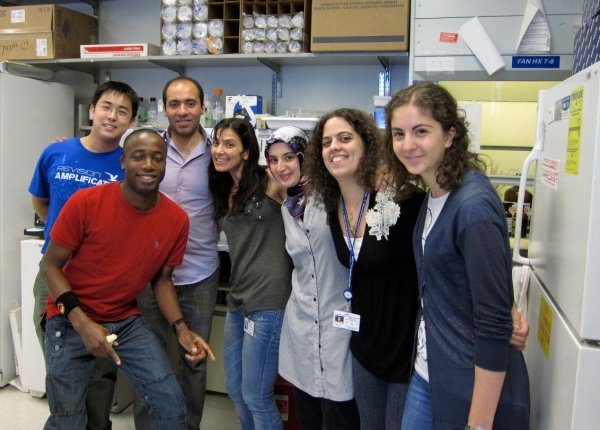 In most cases, students need to work at MSK during the summer preceding the fall program as paid employees because of the time required to conduct most research projects. During the fall semester, MSK may provide a stipend to cover living expenses. Students are treated as Junior Semester Abroad participants in terms of minimum GPA requirements, fees, tuition charges, access to financial aid, and course credit. This means that participants have at least a 2.500 GPA at the time of application. Bates charges the Off-campus Study fee with all expenses for living in New York handled directly by the student. Bates grants and other financial aid are available to qualifying students. A semesters worth of credit is awarded upon satisfactory completion of the internship (four college courses, two of which may be applied as advanced Biology courses). The student must make a presentation of their research in some public forum such as Parent’s Weekend Poster Session or the Mt. David Summit. The Off-Campus Study Committee awards credit based upon a written assessment provided by the student’s mentor at Memorial Sloan-Kettering and the recommendation of the Biology Department. The Committee has the option of awarding fewer than four courses if the student has not adequately fulfilled the responsibilities of the internship. No letter grades are entered on the transcript nor counted toward the students cumulative average.